Manoj Pontificates: The Ten Commandments, all twenty of them! The Ten Commandments that God gave Moses and the Israelites are something akin to the crown jewels of Judaism and Christianity. All Christian kids are taught these commandments at Sunday school. I know I was! The story of the commandments is very interesting. The God of Israel, Yahweh, rescues the Israelites from slavery in Egypt and leads them them to their promised land - the land of Canaan. 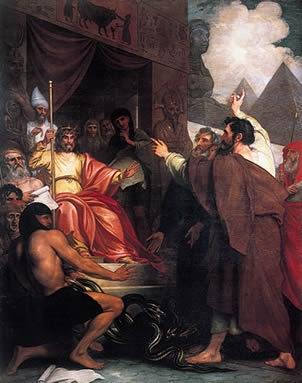 En route, on Mount Sinai, Moses receives the Ten Commandments directly from God. On returning with the commandments, Moses finds the Israelites disobedient and indulging in idolatry. Angry, Moses breaks the tablets on which the commandments were written by God. God once more gives the commandments to Moses. Here is where the story gets tricky. The second set of commandments are completely different and rarely repeated. We'll see why shortly. The first set is the one that is cited all the time. Here they are, verbatim (from the New International Version of the Bible). I have marked in red, the important lines. But the interesting ones are in the second set below. Now, we fast forward fourteen chapters for the second set - Exodus 34:10-28 (NIV). The interesting ones are highlighted. Then the Lord said: “I am making a covenant with you. Before all your people I will do wonders never before done in any nation in all the world. The people you live among will see how awesome is the work that I, the Lord, will do for you. Obey what I command you today. I will drive out before you the Amorites, Canaanites, Hittites, Perizzites, Hivites and Jebusites. Be careful not to make a treaty with those who live in the land where you are going, or they will be a snare among you. Break down their altars, smash their sacred stones and cut down their Asherah poles. Do not worship any other god, for the Lord, whose name is Jealous, is a jealous God. “Be careful not to make a treaty with those who live in the land; for when they prostitute themselves to their gods and sacrifice to them, they will invite you and you will eat their sacrifices. And when you choose some of their daughters as wives for your sons and those daughters prostitute themselves to their gods, they will lead your sons to do the same. “Do not make any idols. “Celebrate the Festival of Unleavened Bread. For seven days eat bread made without yeast, as I commanded you. Do this at the appointed time in the month of Aviv, for in that month you came out of Egypt. “The first offspring of every womb belongs to me, including all the firstborn males of your livestock, whether from herd or flock. Redeem the firstborn donkey with a lamb, but if you do not redeem it, break its neck. Redeem all your firstborn sons. 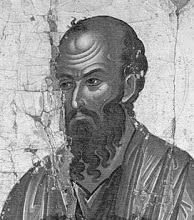 “Six days you shall labor, but on the seventh day you shall rest; even during the plowing season and harvest you must rest. “Celebrate the Festival of Weeks with the firstfruits of the wheat harvest, and the Festival of Ingathering at the turn of the year. Three times a year all your men are to appear before the Sovereign Lord, the God of Israel. I will drive out nations before you and enlarge your territory, and no one will covet your land when you go up three times each year to appear before the Lord your God. “Do not offer the blood of a sacrifice to me along with anything containing yeast, and do not let any of the sacrifice from the Passover Festival remain until morning. “Bring the best of the firstfruits of your soil to the house of the Lord your God. Then the Lord said to Moses, “Write down these words, for in accordance with these words I have made a covenant with you and with Israel.” Moses was there with the Lord forty days and forty nights without eating bread or drinking water. And he wrote on the tablets the words of the covenant—the Ten Commandments. Note: The first set is repeated with minor changes in Deuteronomy 5.